Virtually every product or service these days seems to be endorsed by a celebrity. It’s a common marketing technique; use a public figure to instill and build consumer confidence in a product, with such confidence leading to an increase in sales of the product. The idea here is that the consumer (you) want to be like the famous celebrity (who doesn’t?) so if the product is good enough for this celebrity (and the ad absolutely says it is! ), then, of course, it must be good…no, GREAT…for you, the humble consumer. While this seems like Advertising 101 and generally comes with good intentions and leads to favorable outcomes on both sides, there are numerous instances in which an advertiser purposefully misled consumers. The implications of such false advertising were recently seen in living color surrounding Fyre Festival, a self-purported uber-luxury music festival set to take place in the spring of 2017 on a private tropic island in the Bahamas. Fyre Festival is by no means the first company to use false and deceptive advertising to separate customers from their cash; these unscrupulous methods have always been around. But perhaps they’ve never been as prevalent as now, with the constantly evolving landscape of social media, news and popular culture, and an unholy mix thereof. Celebrity endorsements, in their current form, arguably date back to 1905, when the famed comedian and silent movie star Roscoe “Fatty” Arbuckle became the nation’s first celebrity spokesman by endorsing Murad cigarettes in print advertising and declaring that the brand was “the natural preference of men of cultivated taste.” (Fatty apparently was not one of these men, his later years engulfed with sexual scandals and a murder trial). As commerce in the U.S. expanded and advertising grew as an industry, President Woodrow Wilson, in 1914, signed the Federal Trade Commission Act, which transformed the Bureau of Corporations into the newly independent Federal Trade Commission. The Act gave the FTC enforcement authority and prevented “unfair methods of competition in commerce.” In 1916, the FTC put the public on notice of its presence with its first enforcement action known as “Cilk ≠ Silk.” The Philadelphia-based Circle Cilk Co., a thread manufacturer, was advertising its cotton products as “cilk.” The FTC stated that the term “cilk”, as used in the advertisements, confused, deceived and misled the public into thinking that its thread (actually made of cotton) was made of genuine silk and so ordered the company to immediately stop using the misleading term in reference to any product other than real silk. With this move, the era of FTC regulation had officially been born. Throughout the years, advertisers continued to come up with creative marketing gimmicks. The FTC realized it had to adapt in order to keep up with the industry’s evolution and, in response, created the Wheeler-Lea Act of 1938, broadening the FTC’s powers to include protection for consumers from false advertising practices (until then, the FTC could only restrict practices that were unfair to competitors). And in 1947, the Lanham Act was passed, allowing private citizens to bring lawsuits against companies for false advertising. Fast forward to 2017, when social media is the most effective form of publicity, marketing and advertising, with Facebook having 1.97 billion monthly active users, WhatsApp with 1.2 billion and Instagram with 600 million, all hungry consumers in the eyes of advertisers. But, as seen over time, with great power comes great responsibility and one music festival may have learned just that. What was supposed to be the “music festival extravaganza” called Fyre Festival, produced by rapper Ja Rule and entrepreneur Billy McFarland, quickly caught flames due to, among other things, false advertising. Social media influencers-slash-models like Alessandra Ambrosio, Bella Hadid, Hailey Baldwin, Emily Ratajkowski and Kendall Jenner, to name a few, were actively posting on their Instagram accounts photos of a luxurious Bahamian getaway. What consumers saw were captions like “#fyreFestival is coming up…join me” and “CAN’T wait for #FyreFestival coming soon. But what they did not see were misrepresentations and omissions of material fact. You see, these celebrities were posting on their social media accounts not because they were actually excited to be hanging out in VIP shore-side cabanas, with stocked bars, mingling with their fans, but rather because hey were being paid to do so. For tickets starting at $5,000 and VIP packages reportedly going as high as $400,000, attendees were promised private planes whisking them from Miami to the private island to enjoy 48-hours of music, gourmet meals and ultra high lux hospitality. All of this advertising turned out to be false and deceptive. Despite all the money spent, there was no show to be had. Employees had earlier expressed their frustration and lack of confidence that the event would be ready in time. Senior staff members urged McFarland to postpone or cancel, but he refused. On the day of what was supposed to be an innovative and one-of-a-kind music festival, ticket holders (8,000 tickets had been sold) who were lucky enough to have made it to the destination found themselves at an unfinished and far-from-ready music festival. The cabana bedding was wet, tents were unfinished and bars were understocked. And the private island, advertised as Pablo Escobar’s exclusive playground, was hardly private (there was a commercial resort just a few miles from the festival’s main stage) nor were there any white sand beaches to be seen. And, perhaps most shocking to attendees who relied on their favorite celebrity’s social media postings, none of the celebrities who endorsed the event showed up. Although Fyre Festival seemed like a great concept, its marketing campaign was, in fact, illegal. In a ruling only a few years earlier, the FTC had issued guidelines on digital advertising, stating that if an individual is compensated in any way (which includes anything from cash to free gifts or trips) to promote or endorse a product or service, or promotes a brand with which he or she has a relationship, a “clearly and conspicuously” disclosure must be made to the public. And, of course, deceptive advertising practices remain unlawful. 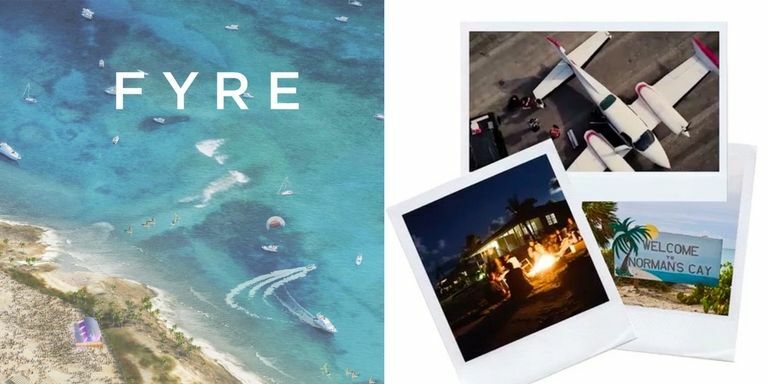 Perhaps Fyre Festival could have avoided the media fallout and numerous lawsuits (not to mention McFarland’s subsequent arrest) by following the FTC’s guidelines and making clear and conspicuous disclosures that the celeb posts bombarding social media were, in fact, paid advertising by simply hashtagging the words “sponsored”, “promotion” or “paid ad” in the posts. But Fyre Festival intentionally left out these terms and misled the public with false advertising. Now its organizers are #payingforit. U.S. Law Group’s Entertainment & New Media practice group regularly advises new media companies on digital advertising guidelines, in addition to representing social media influencers in endorsement and branding deals. While Fyre Festival (thankfully) was never a client of U.S. Law Group, the firm does provide production legal services for music festivals, concerts and other live events in the U.S. and abroad. U.S. Law Group’s attorneys also have extensive experience litigating issues arising from the Lanham Act. To learn more about our Entertainment & New Media practice, please visit our site.